Science Partners recommends the following selections after having been thoroughly reviewed for error and misleading content. It is our hope that these resources will help you to better understand the Bible, our incredible Creator, and His handiwork. 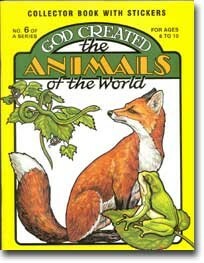 Learn about the animals that God created. Collect this wonderful children’s series and watch young minds soar through the universe that God has made, while learning to conserve and care for God’s creation as He planned. Collector book with stickers. 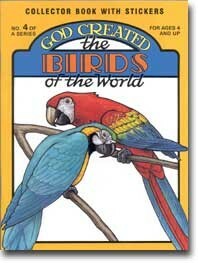 Learn about the birds that God created. Collect this wonderful children’s series and watch young minds soar through the universe that God has made, while learning to conserve and care for God’s creation as He planned. Collector book with stickers. 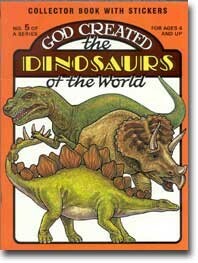 Learn about the dinosaurs that God created. Collect this wonderful children’s series and watch young minds soar through the universe that God has made, while learning to conserve and care for God’s creation as He planned. Collector book with stickers. 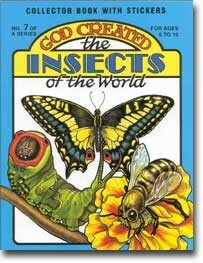 Learn about the insects that God created. Collect this wonderful children’s series and watch young minds soar through the universe that God has made, while learning to conserve and care for God’s creation as He planned. Collector book with stickers. 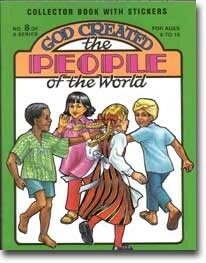 Learn about the people that God created. Collect this wonderful children’s series and watch young minds soar through the universe that God has made, while learning to conserve and care for God’s creation as He planned. Collector book with stickers. 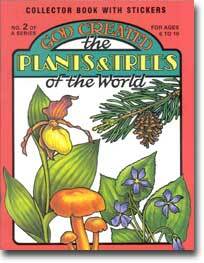 Learn about the plants and trees that God created. Collect this wonderful children’s series and watch young minds soar through the universe that God has made, while learning to conserve and care for God’s creation as He planned. Collector book with stickers. 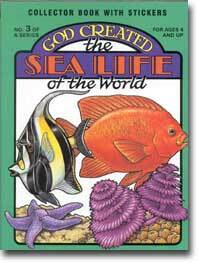 Learn about the sea life that God created. Collect this wonderful children’s series and watch young minds soar through the universe that God has made, while learning to conserve and care for God’s creation as He planned. Collector book with stickers. 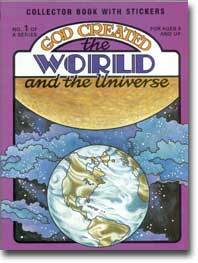 Learn about the world and the universe that God created. Collect this wonderful children’s series and watch young minds soar through the universe that God has made, while learning to conserve and care for God’s creation as He planned. Collector book with stickers. Copyright © 2012 by Science Partners LLC. All rights reserved.